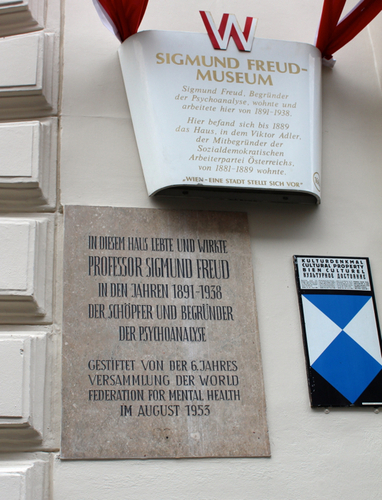 On the facade of the building, next to the entrance, a big marble plaque reads as follows: "IN DIESEM HAUS LEBTE UND WIRKTE / PROFESSOR SIGMUND FREUD / IN DEN JAHREN 1891-1938 / DER SCHÖPFER UND BEGRÜNDER / DER PSYCHOANALYSE - GESTIFTET VON DER 6.JAHRES / VERSAMMLUNG DER WORLD / FEDERATION FOR MENTAL HEALTH / IM AUGUST 1953." 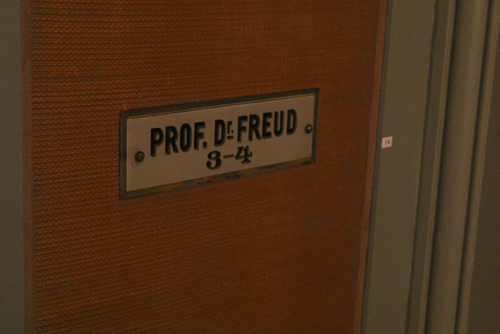 (In this house Professor Freud, founder and initiator of Psychoanalysis, lived and worked between the years 1891-1938 - Donated by the sixth annual Assembly of World Federation for Mental Health in August 1953). 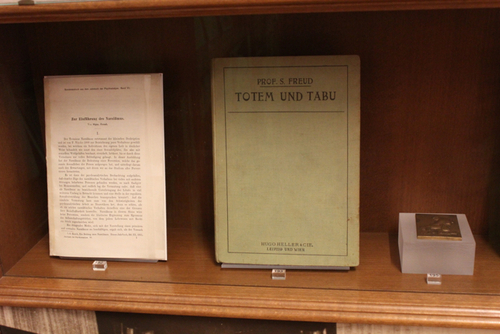 On its top, another tablet recites: "Sigmund Freud, Begründer / der Psychoanalysen wohnte und / arbeitete hier von 1891-1938. - Hier befand such bis 1889 / das Haus, in dem Viktor Adler, / der Mitbegründer der / Sozialdemokratischen / Arbeiterpartei Österreichs, / von 1881-1889 wohnte. 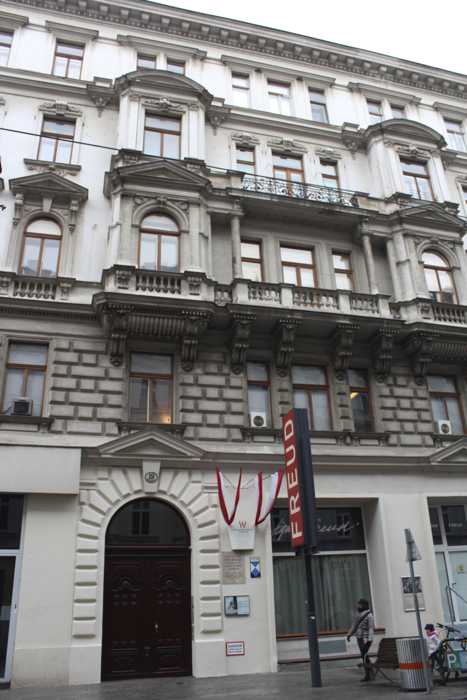 - «WIENE-EINE STADT STELLT SICH VOR»." (Sigmund Freud, founder of Psychoanalysis, lived and worked here between 1891-1938 - This was the house were Viktor Adler, co-founder of the Social Democratic Party of Austria, lived from 1881 to 1889. - Vienna: a city presents itself). 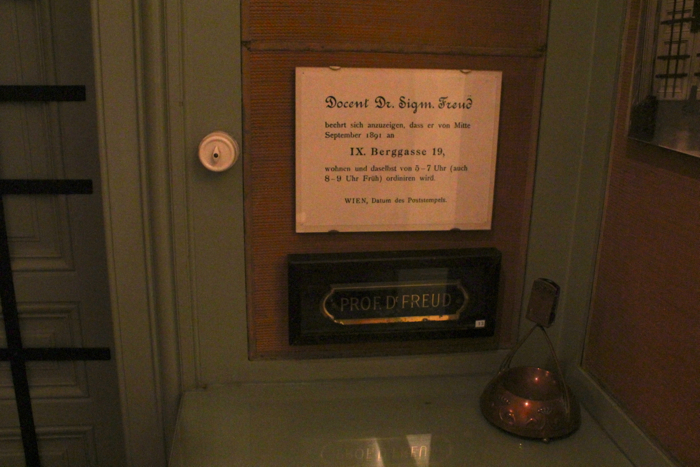 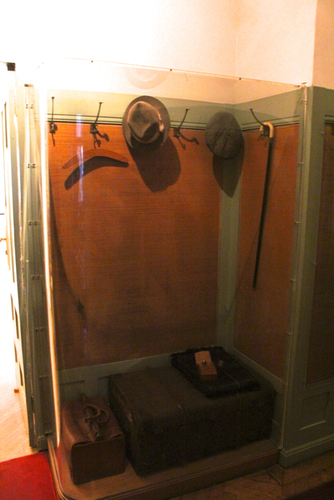 In the entrance room, a coat hanger with some Freud's belongings can be seen. 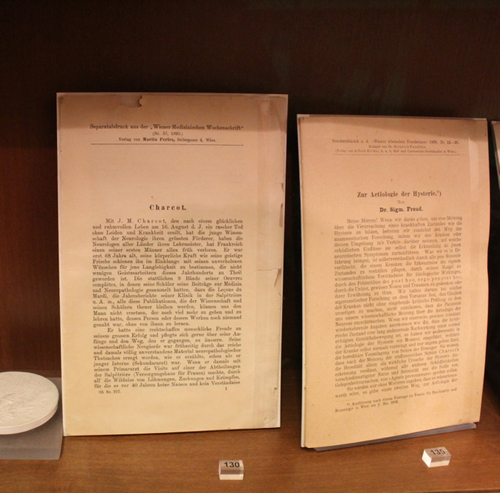 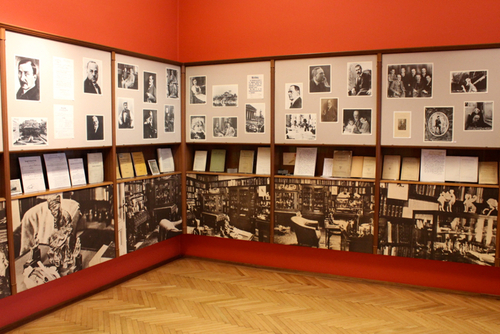 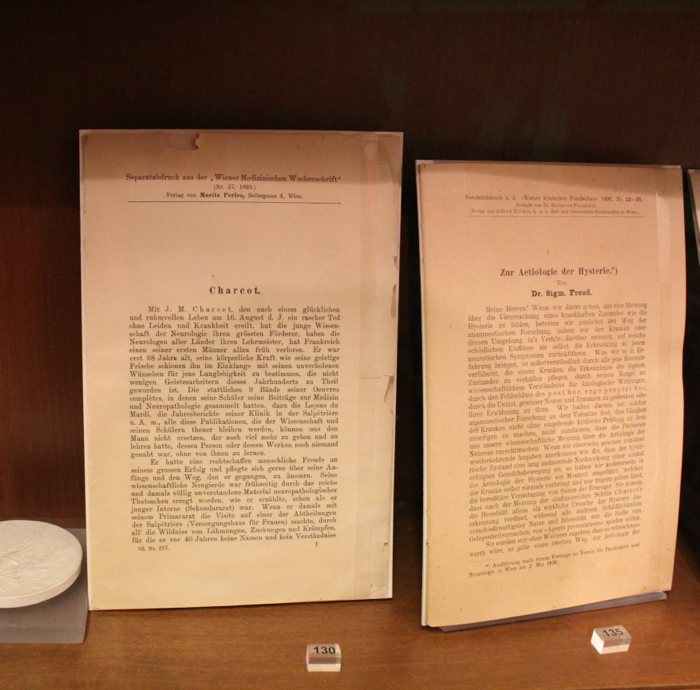 Here's the waiting room, with a wide selection of items retrieved from Freud's personal collection of antiquities. 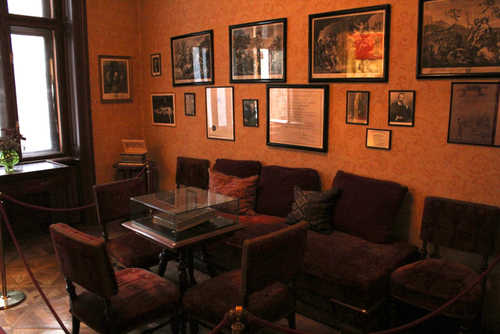 Original furnishings have almost been preserved. 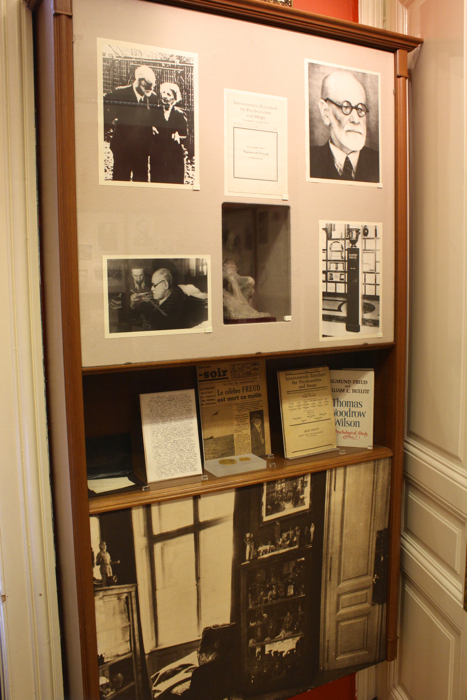 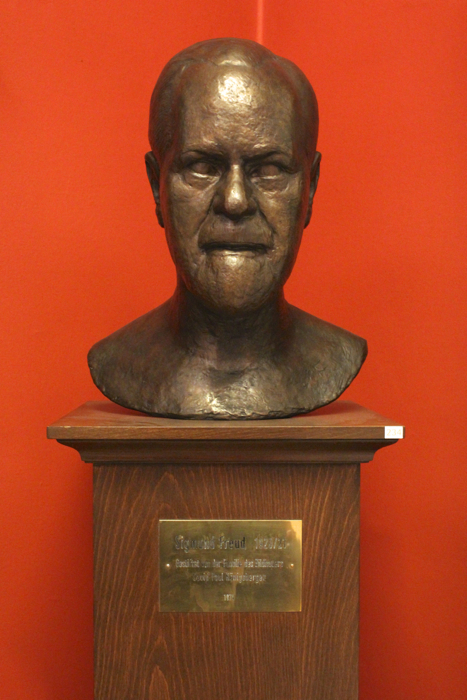 In the adjacent consulting room and study, there is a considerable repertoire of autographs, documents, photos and works owned by the psychoanalyst, not least a Freud's bust and a well conserved chair from his original study, as well as a couch. 1. 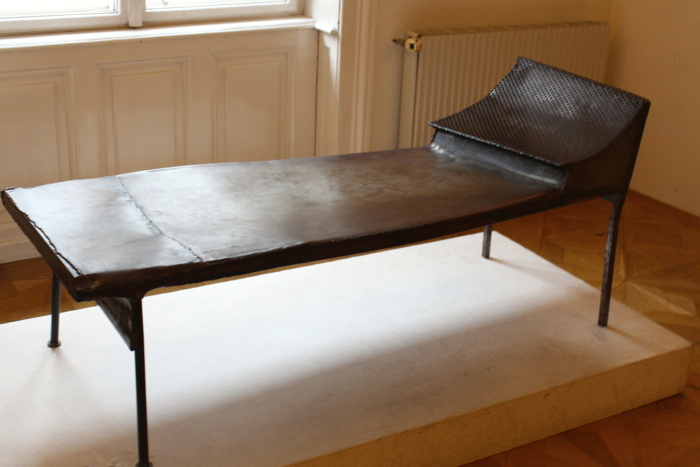 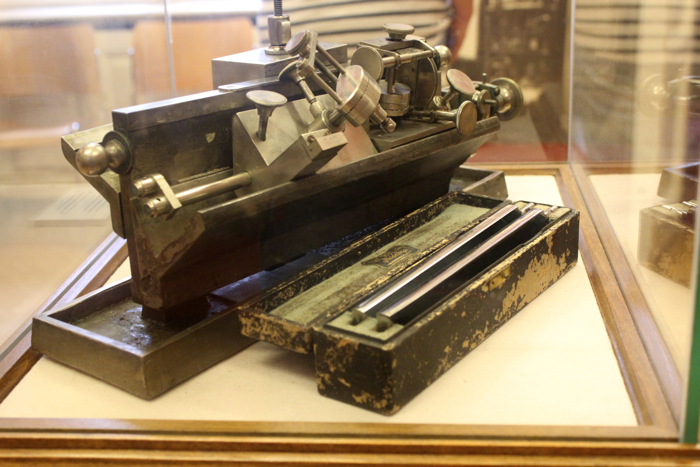 Retrieved from the Museum's leaflet.